The young victim sustained multiple fractures to her skull and pelvis. Police are searching for the driver who plowed into a 9-year-old girl in her front yard in Georgia, leaving her with serious injuries including multiple broken bones. 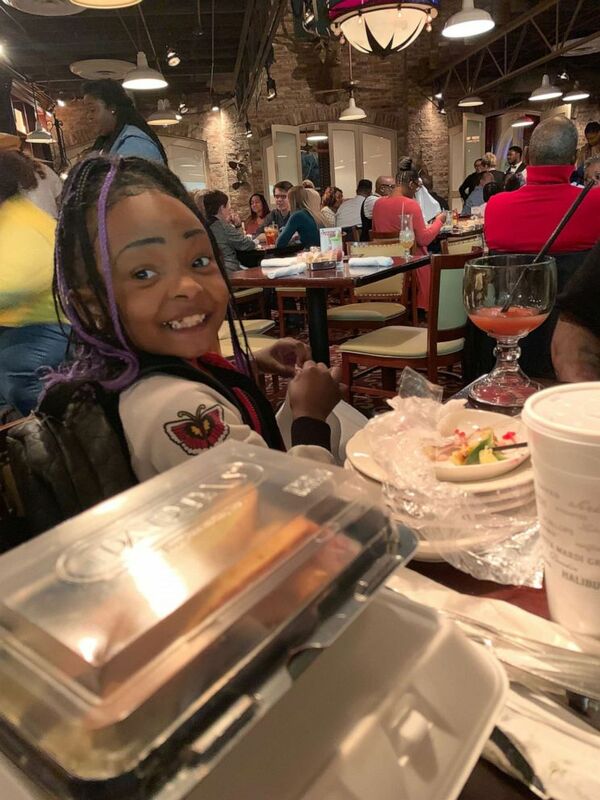 Laderihanna Holmes was playing with another young girl outside her home in Lithonia, Georgia, just outside of Atlanta, when a vehicle suddenly jumped the curb and smashed into her on Friday, authorities said. (Courtesy Charlette Bolton) An undated photo of Laderihanna Holmes. 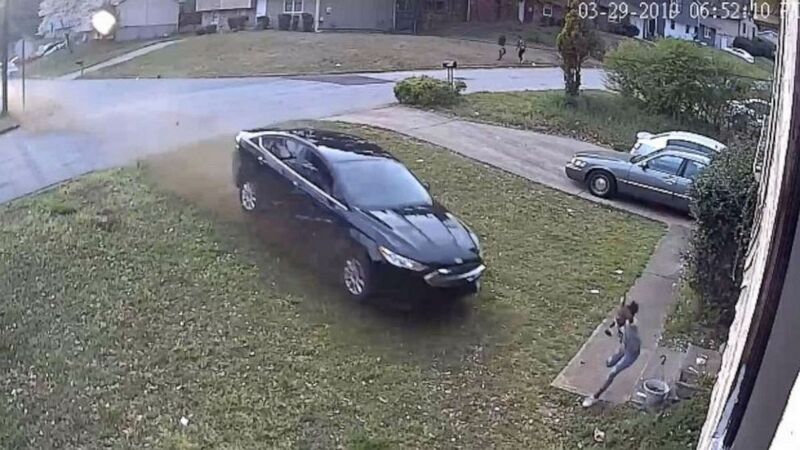 A home security camera captured the terrifying scene, showing a black sedan blow past a stop sign and slam into the family's home at full speed. 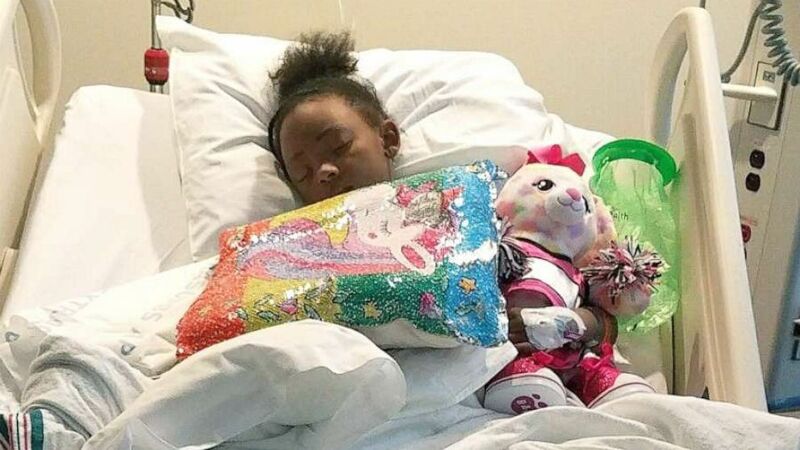 (Courtesy of the victim's family) A young girl was injured in a hit and run crash in Lithonia, Georgia. The suspect slipped out through the passenger-side door as family members rushed to help the young girl. Security video showed him staggering a bit before he took off on foot, leaving behind the vehicle. The family said a second person also fled the scene. Dekalb County police were getting closer to an arrest on Monday afternoon, officials said. The family shared the security footage with ABC News on Sunday hoping that the driver might come forward. The owner of the vehicle said she was at work at the time of the accident and had given the car to her boyfriend, police said. "It's hard, but I have to be strong for her," Laderihanna's mother, Charlette Bolton, told ABC News on Sunday. "I just want everybody to pray for Laderihanna. The community loves her, her school loves her, her friends love her and I just want the people involved to be caught." Bolton, who spoke to ABC News along with the girl's father and older brother, issued a personal message to the people who fled the scene. (Courtesy Charlette Bolton) Laderihanna Holmes is pictured at the hospital. The family's attorney, Chris Stewart, said two teenagers were seen running from the scene after the crash. "Those were teenagers that were in that vehicle, so we have to learn what happened and how they got a hold of that car," Stewart said. He said it's a miracle that the young victim survived the head-on collision. (Chris Stewart via AP) In this undated photo provided by attorney Chris Stewart shows LaDerihanna Holmes. 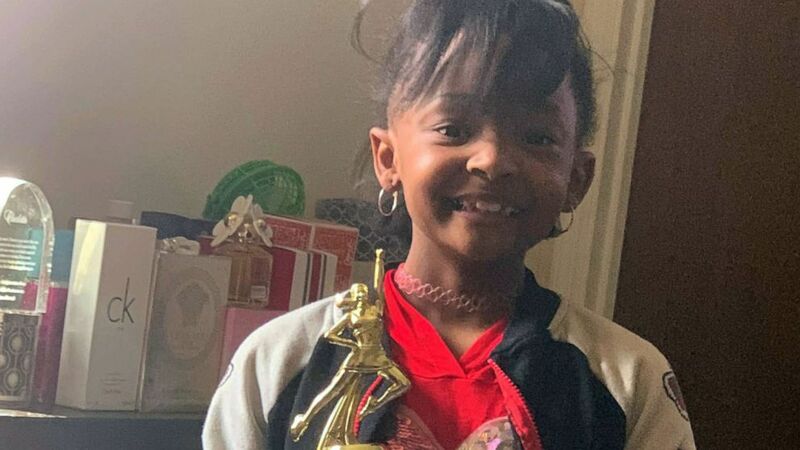 Holmes was seriously injured after a car careened across her yard, hitting her before hitting her home in Lithonia, Ga., March 31, 2019. "If you didn't believe in miracles, you should now," Stewart said. "The video is really hard to watch but she survived somehow. You gotta believe in God after seeing this." "I was shocked," he added. "I deal with wrongful death all the time, and I cannot believe she survived it. When I want to see her in the room, she does not have a mark on her face." 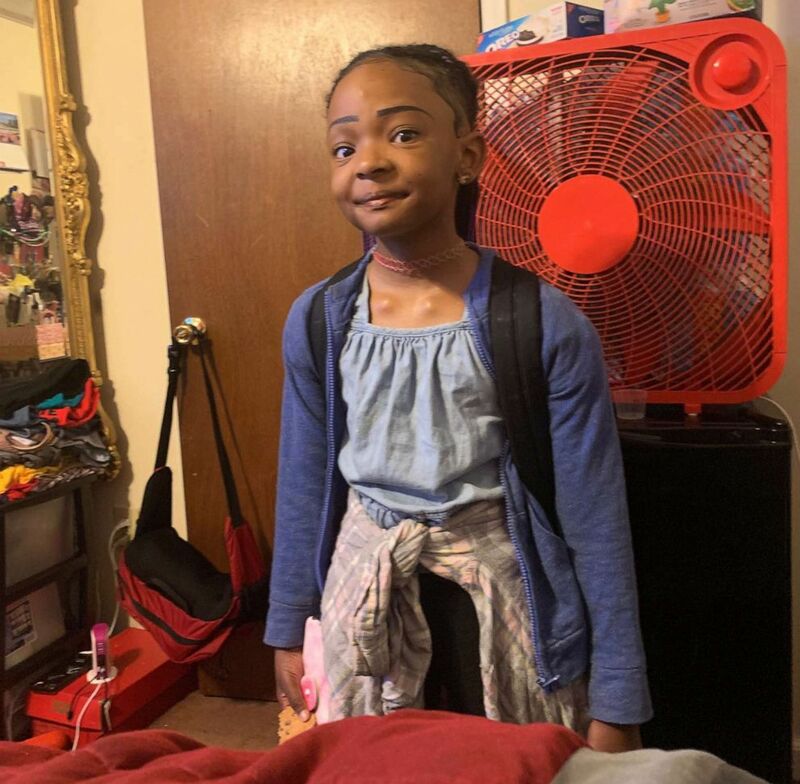 The young girl's family said she sustained several injuries, including multiple fractures to her skull and pelvis, but they're confident that she'll recover. "She's strong, and I know she'll bounce back from this," her mother said. "It's just going to take a while." ABC News' Steve Osunsami and Ben Stein contributed to this report.